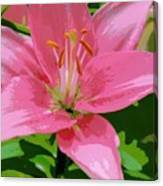 Pink Asiatic Lily galaxy s8 case by Marla McPherson. Protect your Galaxy S8 with an impact-resistant, slim-profile, hard-shell case. The image is printed directly onto the case and wrapped around the edges for a beautiful presentation. Simply snap the case onto your Galaxy S8 for instant protection and direct access to all of the phone's features! Thanks very much Sandi! 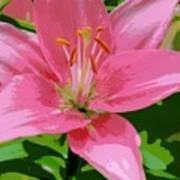 This flower comes up every year in my garden. I wanted to try something interesting and unique with my processing this time. Glad you like it! 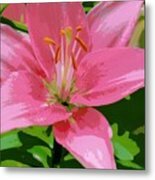 Thanks very much Martin for the feature of my Pink Asiatic Lily in the wonderful Flower Mania Group! Very much appreciated!! Thanks so very much Ana Maria for your comment and great support! 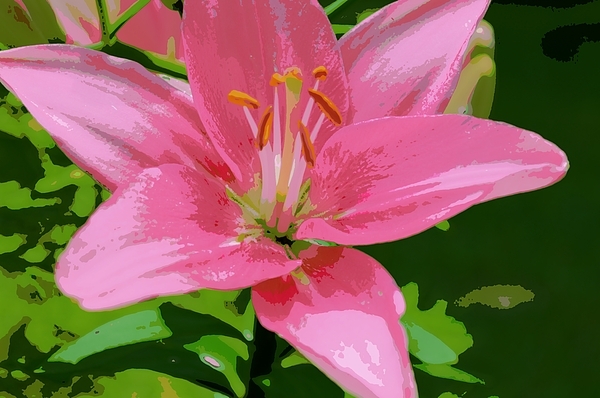 A single pink asiatic lily is highlighted in this digitally enhanced photograph.